Despite the low cloud, the slightly chilly air, and a lack of sun, it is in fact midsummer. Here in Orkney this means not only an excuse to celebrate what George Mackay Brown described as 'the over-brimming of the year's well of light'*, but also to enjoy this year's St Magnus International Festival. Today in Stromness Town Hall at 5.30pm the first performance of this year's Johnsmas Foy will take place, when Sarah Jane Gibbon will direct 'The Raven Banner, Twelve Valkyries & a Ghost Army'. This will be a commemoration of the 1000th anniversary of the Battle of Clontarf, through song, poetry, story-telling and Old Norse writings performed by Sarah, along with poet Emma Grieve, composer Aimee Leonard and storyteller Tom Muir. For those who would like to know more about how midsummer and Johnsmas were traditionally celebrated, then we would recommend Midsummer, Johnsmas and bonfires on the UHI Centre for Nordic Studies website and also the excellent articles on Orcadian Bonfire Traditions and A Year of Orcadian Tradition from the Orkneyjar site. 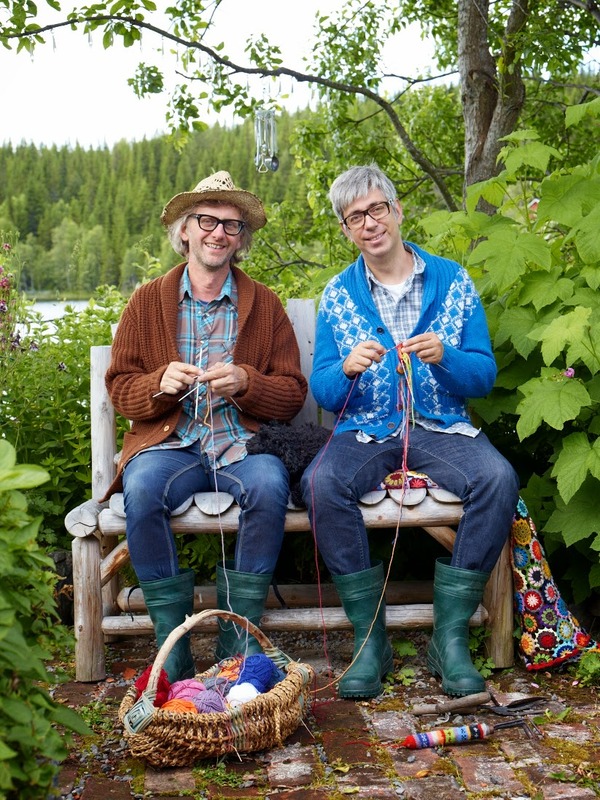 In a break from tradition this year's St Magnus Festival features two workshops by Norwegian knitting celebrities Arne & Carlos. These have proved so popular that both Kirkwall and Stromness workshops have sold out, but we know that at least some of our library Yap and Yarn group members have been lucky enough to get tickets - including our library assistant Becky. 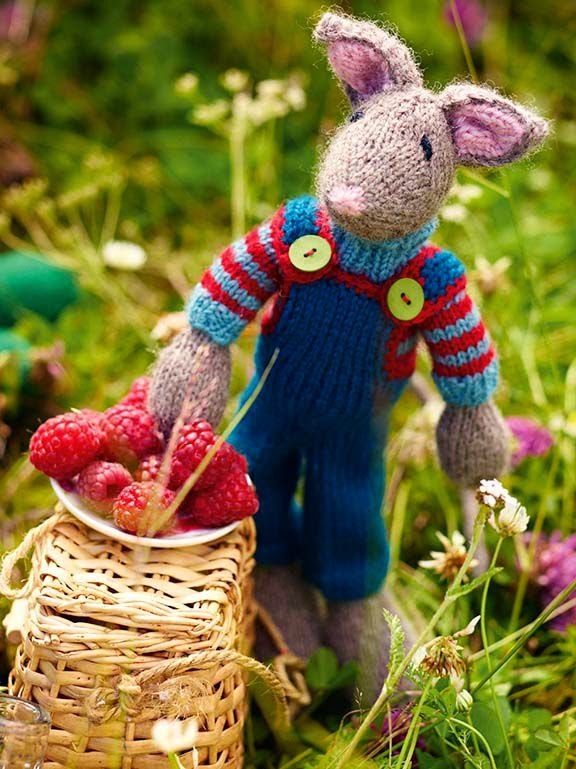 During the workshop Arne & Carlos will be leading participants through their pattern for Magnus Garden Mouse, from their latest book Knit-and-Crochet Garden, which is, of course, available from the library. We hope Becky will bring her Magnus into the library for a visit when he is finished and we'll try to get a photo to show you. 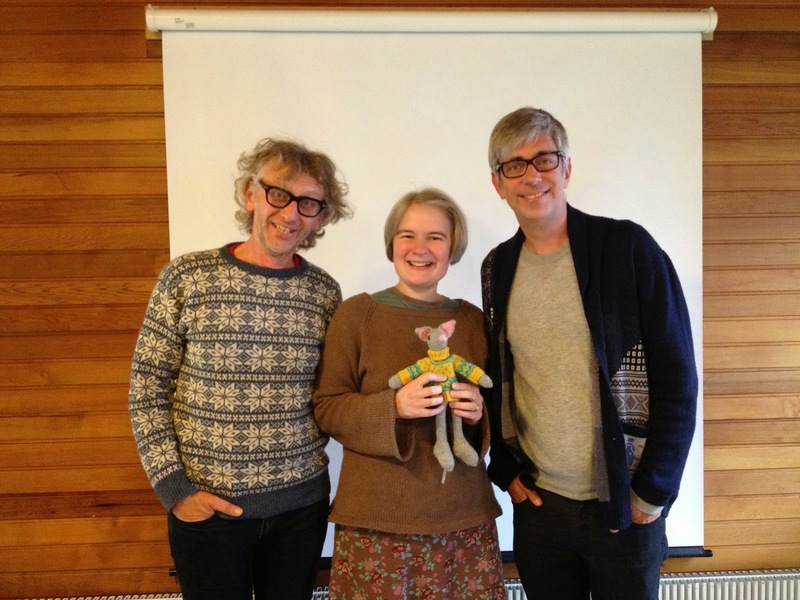 If anyone else has knitted Magnus do please send us a photo and we'll share them on the blog. So it's going to be a busy weekend here in Stromness, but however, and where ever, you are going to be celebrating, we hope your solstice, St Magnus Festival, and Johnsmas are full of midsummer magic. 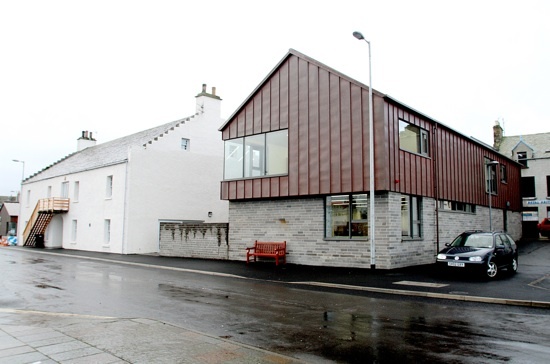 Well dear readers we're feeling very cosmopolitan here in Stromness Library this week. Following our visit from Milli from Finland, *waves at the Etela-Haaga Library folk*, we received a lovely email from Mike Goldstein from America, who had visited us back in 2008. Mike sent us a lovely photo of Seamus, one of the cats who used to live next door to the library and adopted us as his second home. We were delighted to hear from Mike, and asked if we could share his photo with you, in case anyone else remembers Seamus, or even had the dubious pleasure or being drooled on/ covered in ginger fur/ nuzzled/scratched/ or bitten by him. Seamus was quite a character with a bit of a split personality. He would rub himself affectionately against your legs or jump up on your lap to be petted, but could get very grumpy if you dared to shift him off a chair he had chosen for a nap. We even took to bringing in a pair of leather gardening-gloves to work, in case he objected to being put out when it was time to go home! 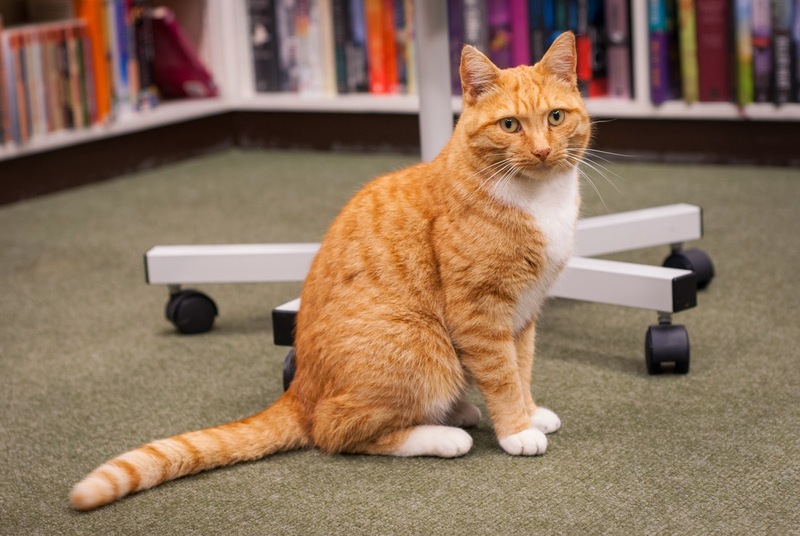 Unfortunately Seamus' owners moved house, and following Bubbles' tragic accident we have been without a library cat for quite a while now. Maybe we will be adopted by one when we move to the new library?! We were very interested to read about Mike's research at Cornell University, where he is Associate Professor of Psychology and Director of the Eleanor J. Gibson Laboratory of Developmental Psychology. His research focuses on the development and evolution of communication, taking a comparative approach studying both human infants and songbirds, to try to better understand the mechanisms by which communicative development takes place. We look forward to welcoming Mike back to Stromness in the future, as he plans to return to carry out research in Orkney. He is interested in studying the effect of a noisy environment on vocal learning, and hopes that making recordings of the seabird colonies in Orkney will help him to get an idea of the acoustic challenges faced by young birds in a large breeding colony. 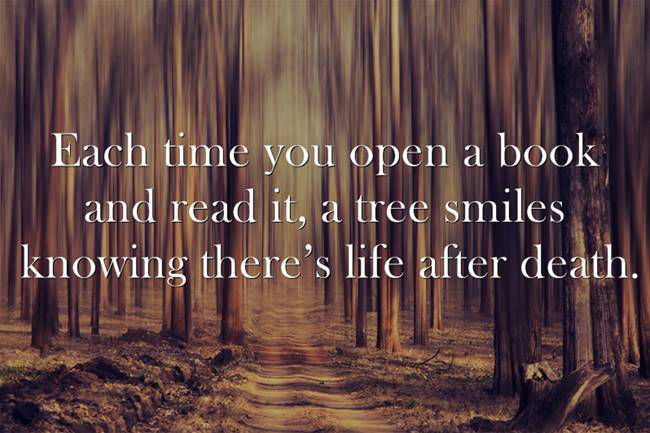 There is something about working in a library, it doesn't matter where you go, you always find yourself looking for other libraries to visit. We get lots of visits from library staff on holiday in Orkney and today we had a lovely visit form Milli from Etela-Haaga Library in Helsinki, Finland. It was interesting to compare notes with Milli on the similarities of our experiences of working in smaller branch libraries, and the role of the library in our communities. We were delighted to be able to issue Milli with her very own Orkney Library card as a visiting member, and look forward to welcoming her back on her next visit to Stromness. 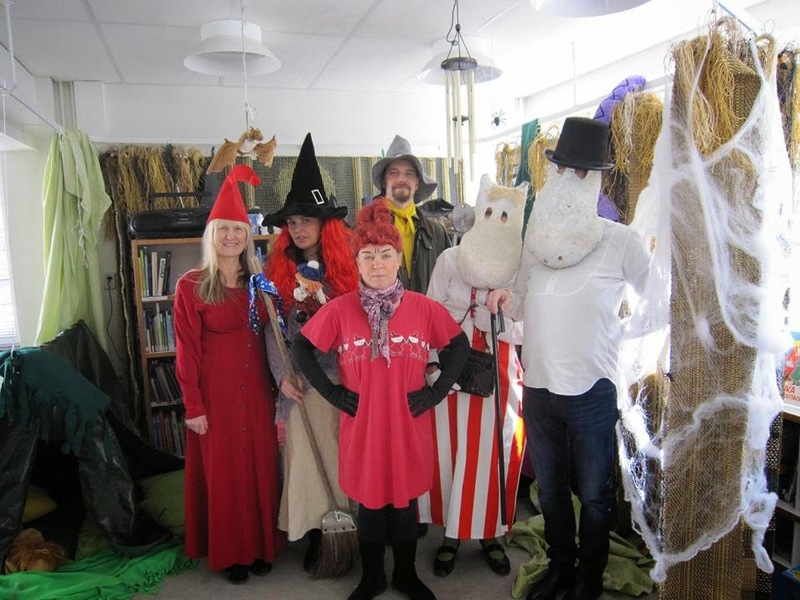 It was great to discover the Etela-Haaga Library has a Facebook page and we loved this photo of the staff dressing up as characters from the Moomin books, as part of the celebrations marking the centenary of Tove Jansson's birth. 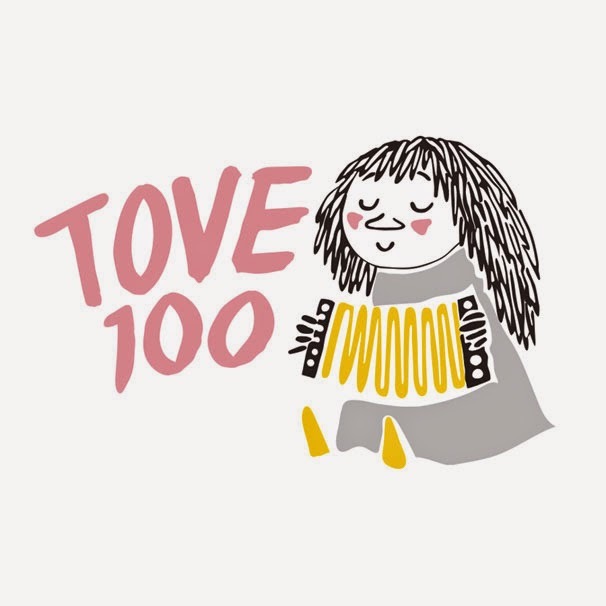 Visit the Tove 100 website for details of other events marking the birth of Tove Jansson. If by some chance you haven't met the Moomins yet then come to the library where we can introduce you to the magical world of Moomintroll, the Snorkmaiden, Snufkin, Sniff and all their friends and family. A familiar sight around Stromness is local artist Diana Leslie, who can be seen out in all weathers working at various locations around the town. 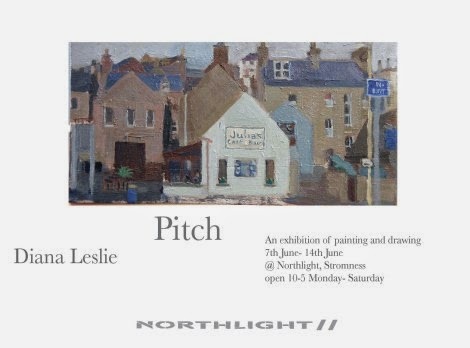 Tomorrow, Saturday 7 June sees the start of her latest exhibition, 'Pitch' at Northlight gallery in Stromness, where the public will get the chance to see the finished pieces until Saturday 14 June. 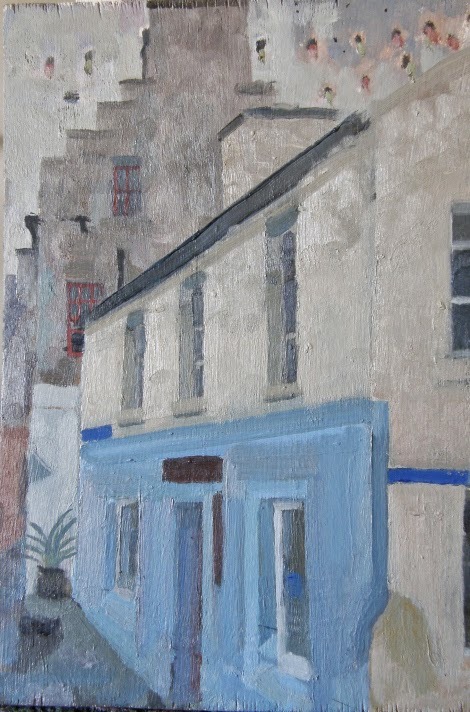 We are looking forward to seeing familiar local landmarks from the artist's perspective, but for those of you who won't make it along here is Diana's painting of the Northlight gallery in Graham Place, and a link to her website where you can find out more about the artist and her work.